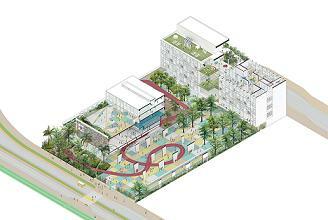 The French International School has appointed Henning Larsen Architects, the design architects, and AGC Design, the executive architect, to develop its new Tseung Kwan O campus. The school premises will provide flexible layouts and multi-purpose spaces when the doors open in 2018. 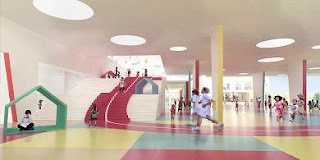 Sports facilities include a gymnasium, swimming pool and running track as well as a 300 seat auditorium. Outdoors on the campus, there will be three main playgrounds, classroom sized hanging gardens, shared terraces on every floor as well as a botanical garden, the school announced. The proposed focal point of the campus will be at the south entrance: a wall comprising 1,000 colored ceramic sun breakers. The feature will allow light to diffuse into the gymnasium space beyond, according to the school. The Civic Party says the government “miscalculated" the impact of the Legislative Council rejecting the political reform package. Civic Party chairwoman, Audrey Eu Yuet-mee, said Chief Executive Leung Chun-ying expected people to “turn against the pan-democrats" after the package was rejected, but that did not happen. The party won 10 seats in the District Council elections, three more than it did in the last poll in 2011. “He has underestimated Hong Kong people’s determination to fight for real democracy. It’s burning as passionately as ever. The district council election results and also the high voter turnout rate is a testimony to that," she said. However, the Labour Party’s chairman, Lee Cheuk-yan, said he was disappointed to see that only three out of the party’s 12 candidates had secured seats. He said last year's Occupy protests had motivated more young people to run in the elections, as well as more young voters. But he said their pro-establishment opponents remained strong. Democratic Party, Chairwoman, Emily Lau, said she is giving her party's performance in the District Council elections "a passing grade" – even though they won four fewer seats than they did in the last polls in 2011. The party won 43 seats in the elections, but party heavyweights Albert Ho Chun-yan, a former party chairman, and Andrew Wan, the party’s vice-chairman, both lost in their contests. Lau noted that some young members had won by a landslide, and 12 of their newcomers had secured a seat. She said the election results showed the party has achieved a transition to a younger generation of leadership. Eight supporters of the pro-democracy Umbrella movement were among the winners in the district polls yesterday, despite the dominance of pro-Beijing candidates. The polls drew a record 47 percent turnout. Final results show that 431 were elected as District Council members. Chui Chi-kin, Clarisse Yeung Suet-ying, and Wong Chi-ken, who are regarded as “Umbrella soldiers,’’ won against some established figures yesterday. Chui Chi-kin polled 2,017 votes won against Democratic Alliance for the Betterment and Progress of Hong Kong legislator Christopher Chung Shu-kun, who garnered 1,829 votes. Wong Chi-ken, secured 1,729 votes against Fung Kam-yuen at Lok Wah North, who got 1,246 votes. Clarisse Yeung Suet-ying, gathered 1,398 votes in Tai Hang to win against than Gigi Wong Ching-chi of the New People’s Party. The viter turnout was 1. More than 1.4 million voters turned out to cast their ballot, representing a provisional cumulative turnout rate of about 47 percent, from 7.30am to 10.30pm yesterday, according to the Election Commission. The counting of votes in 363 constituencies of the District Council election was completed by 5.55am today the Electoral Affairs Commission said today. The counting of about 1,467,000 ballot papers was completed in about 6.5 hours after polling ended last night. “The election was concluded in an open, honest and fair manner. Polling and vote counting were overall smooth. The Electoral Affairs Commission is satisfied with the arrangements," the Commission Chairman, Justice Barnabas Fung Wah, said after the announcement of all election results. 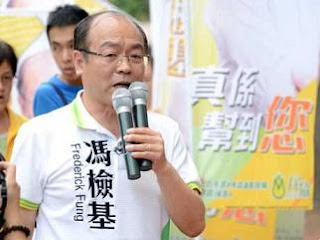 The election losses of Democratic Party legislator Albert Ho Chun-yan and Association for Democracy and People's Livelihood (ADPL) councillor Frederick Fung kin-kee (Pictured) in the District Council polls mean the pan-democratic camp will have to field new candidates for the so-called “super seats" in the Legislative Council elections next year. The general electorate will elect five district councillors as legislators. Candidates must be district councillors who are nominated by at least 15 of their colleagues. Ho and Fung were two of the five incumbents. Federation of Trade Unions lawmaker Chan Yuen-han did not run for re-election, while the DAB's Starry Lee and the Democratic Party's James To held on to their seats. Fung said the ADPL, which won 18 seats in Sunday's elections, will likely choose to nominate one of its own members for the super seats race. However, he said the party has not made any decision on the matter yet, and will have to review and analyse the voting in the district polls, which he says has brought some "new factors" to the fore. Fung added that he is likely to seek another term as a legislative councillor. However, he will have to run in a geographical constituency rather than for one of the super seat spots. A "deep analysis" will be needed before his party can decide which candidates to put forward, or which constituencies they will contest, he said. Fung also blamed his loss in the District Council poll to the pro-government camp's superior resources. He said his rivals had built up their support in recent years by giving generous gifts to electors, and that's why he lost the seat he'd held for the past 15 years. Police have arrested a mainland tourist for slapping her tour guide in a shopping dispute in the afternoon today. The 40-year-old woman was arrested for assault following the incident in a chocolate shop in Hung Hom. The tour guide was taken to Queen Elizabeth Hospital for treatment. The award-winning Copa Steakhouse at Sands Macao has launched a range of new additions to its menu that includes seafood, meat dishes and desserts. “We have a lot of loyal customers so we want to give them a reason to keep coming back and first time visitors can also try something they may not have tried elsewhere,” said Luis Silva, Chef de Cuisine, Copa Steakhouse. 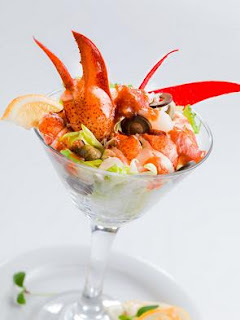 Boston lobster cocktail (Pictured): a lobster tail served with Thousand Island dressing, tossed romaine lettuce, endive hearts and black olives. USDA hanger steak with chimichurri: also known as a butchers’ steak, the hanger steak is prized for its flavor. The South American chimichurri sauce is made from olive oil, white wine vinegar, garlic, parsley and oregano. King crab legs: Alaskan king crab legs served chilled or grilled with seaweed mayonnaise, red wine vinaigrette and fresh lemon. Seafood mixed grill: one whole Boston lobster, two razor clams, three oysters, one king prawn and shrimps, all grilled and dressed with lemon butter and rock salt. Copa giant banana split: made with chocolate, vanilla and strawberry ice cream and topped with almonds, chocolate sauce, whipped cream, finger biscuits and a maraschino cherry. English trifle: layers of sponge soaked in cherry brandy layered with jellied fruits and custard and topped with raspberries, strawberries and blueberries. Époisses is a pungent unpasteurised cow’s milk cheese from the village of Époisses, which is in the département of Côte-d'Or in France, halfway between Dijon and Auxerre. Mimolette is a cow’s milk cheese traditionally produced around the city of Lille, France. Pont-l'Évêque is an uncooked, unpressed cow's-milk cheese originally manufactured in the area around the commune of Pont-l'Évêque, between Deauville and Lisieux in the Calvados département of Basse-Normandie. All served with raisin-bread, honeycomb and yuzu jelly. A much beloved accessory of former First Lady of France Carla Bruni, Roger Vivier’s Miss Viv’ handbag has long represented elegance and grace. Miss Viv’, the evergreen classic handbag at Roger Vivier, is re-interpreted in new materials and colors this season (HK$19,100). 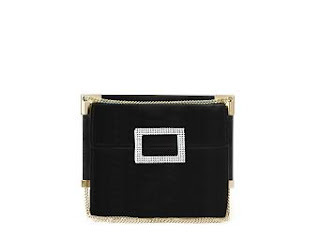 Signature buckle embossed in Swarovski crystals, the new Velvet Miss Viv’ Evening is no doubt one of the most charming creation in the current season to get accessorized during the joyful festive period. Available in four colors, the Hong Kong Limited Edition Miss Viv’ Evening in black, navy blue, red and pink velvet will be available exclusively in Roger Vivier Landmark and Harbour City Store in December.